Many would call war criminals not going to jail impunity, following common retributive justice and logic. 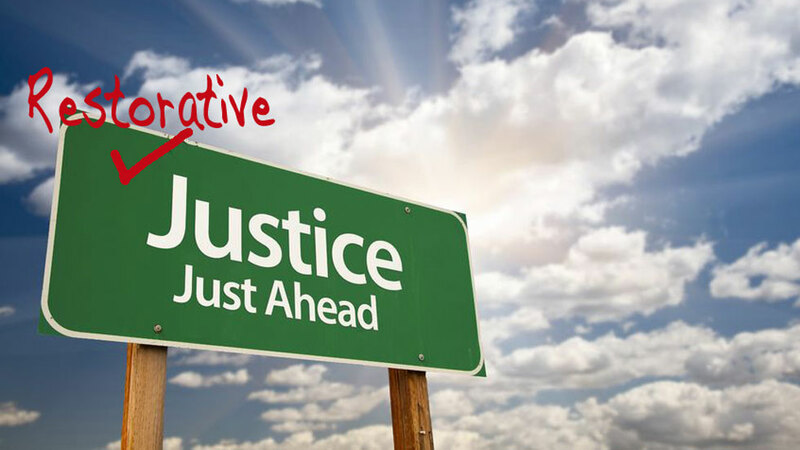 The alternative that will be used in Colombia’s transitional justice system, restorative justice, is already applied in many western countries, and with success. In the common retributive justice system, offenders are punished. In the case of atrocious war crimes like massacres, allowing war criminals to stay out of prison and let him free would sound like a public threat to many. Failing to apply justice is plain impunity, disregarding any system. Colombia’s peace process will try war crimes according to the alternative restorative justice system. This system does not just seek to punish the victimizer, but also reconcile the needs of victims, the debt of the victimizer, and the safety of the affected community. The UK government called the system “safe” and said it could reduce recidivism rate to 14%. The US city of Chicago just opened its first restorative court. According to several prosecutors, prison wardens, and victims, the system has made their societies safer, and has been more beneficial for the victims, both in civil and post-conflict transitional justice. Northern Ireland applied it after the IRA had laid down is weapons, but continued to suffer social tensions and violence, also there the alternative system produced positive results. These results were similar to those in the US, the Northern Irish said in 2010. Chicago has been struggling with tremendous crime rates. In fact, 2016 was its deadliest year ever in terms of homicide. It’s 27.7 homicide rate is higher than that of Colombia’s Medellin. In an effort to curb this crime explosion, the city’s Cook county, the second largest county in the United States, opened a Restorative Justice Community Court earlier this month, according to The Atlantic. Assistant District Attorney Adam Foss from Boston, Massachusetts, has already been applying restorative justice by demanding restoration instead of prison, and with positive results for society, the victim and the victimizer, he said in a 2016 Ted Talk speech. The Canadian government made a short film about its experiences with the justice system, based on the testimonies of a victim of physical abuse, her victimizer, and a counselor. The ministry made a short film explaining the authorities’ arguments to apply the system. They cited a UK-commissioned investigation that found a 14% recidivism rate. While the previous cases referred to the application of common crime, Northern Ireland applied the system during its peace process in the late 1990 and early 2000s, mainly to end social tensions and violence between common Protestant and Catholic citizens in Northern Ireland that continued after the end of the armed conflict between the IRA, Protestant paramilitary groups and the British military. While in Colombia, the transitional restorative justice system hasn’t taken effect, impunity continues to reign as its common retributive system is failing without any sign it is being fixed.